Dimples & Dragonflies Studio & Gallery LLC: "Heaven Is For Real"
Friends, I've Been Away Now For Nearly 3 Weeks. During Which Time I've Been Battling A Severe Bladder Infection. Normally I Wouldn't Speak Publicly Of Such Matters, But I Wanted To Explain My Absence. My Dear Sweet Husband Has Taken Leave From Work So He Could Care For Both My Mama And Me. Truly,Without Him I Could Not Have Rebounded So Quickly. While Being Laid~Up In Bed For What Now Seems Like Forever, I Mostly Slept, Drank Plenty Of Fluids, And Listened To Some New Books Downloaded Onto My iPod. "Heaven Is For Real" Was One Of The Most Compelling "Real Life" Stories I Believe I've Ever Read. Friends, I Beg Anyone Reading This Post Today, Please Get Ahold Of This Story. Read It! I Promise You From The Bottom Of My Spirit That It Will Alter Your Life! I'm On My "Fourth" Listen. Can You Believe It? And Each Time I Glean Something New And Interesting. I Also Took A Listen To Glenn Beck's New Book. It Too Was Quite Sensational! I'm Sensing God May Have Laid Me Flat On My Back For A Time..To Get My Undivided Attention! To Bring Me Closer To Him In Ways I Very Much Want To Share With Y'all. 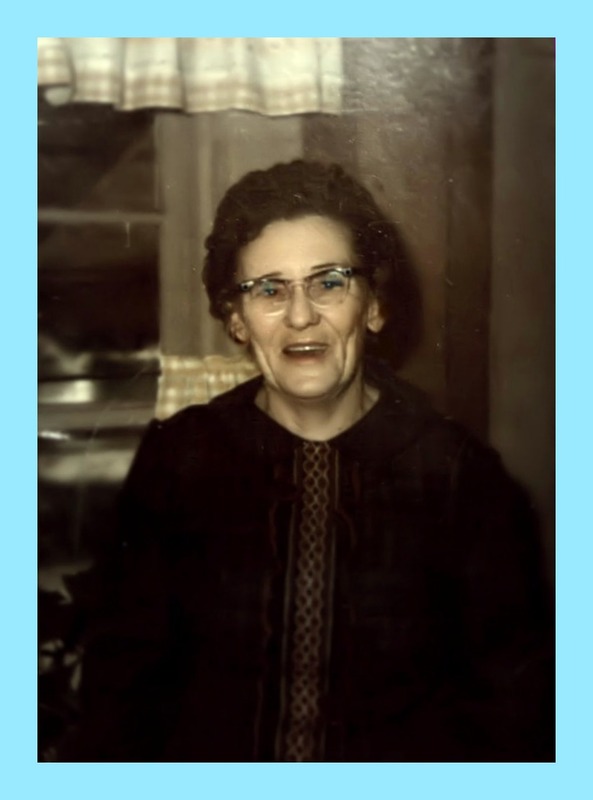 This Is My Maternal Grandmother, "Reeder Hill". For Some Of You Who Have Gotten To Know Me..You Already Know How Special She Was To Me. It Is In Her Honor And Name That I Sign Each Of My Paintings. And What I'm About To Share Is Absolutely True And I Feel So Very Blessed To Be Able To Tell Y'all About It. One Day During The Course Of My Illness, My Grandmother Came To Visit Me. Yes, You Read Correctly. She Most Definitely Came To Me. 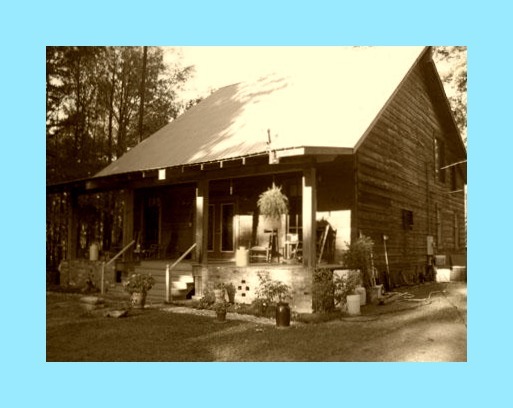 During Her Life On Earth, She Lived On A Rural Dairy Farm In Pontotoc, Mississippi. During My Childhood, I Spent Most Every Summer With Her. For Three Glorious Months, Her Front Porch And The Surrounding Pastures, Were My Playground. During This Recent Visit..I Again Felt My Feet Touching The Soft, Cool, Mississippi Soil. I Actually Felt It..It Was Completely Real! And No One But God Knew How Much I Loved Feeling This Soft Powder-Like Soil Rise Up Between My Toes. But There It Was..Wrapping The Same Love And Comfort I Had Felt As A Child Around Me Once Again. My Visit Continued As I Was Led Into My Grandmother's House. I Actually Raced To Get Inside As I "Just Knew" She Was There Waiting For Me. I Hurried Past The Front Rooms And Found Myself In Her Bedroom. It Looked Identical Today As It Had All Those Years Ago. I Saw Her Huge Four-Poster Bed That I Had Always Struggled To Get On Top Of. Then Suddenly Felt Myself Rise And Instantly I Was Sitting On The Edge Of Her Fluffy Mattress, Dangling My Legs And Feet Off The Side. Words Cannot Express My Happiness In All That I Was Feeling At That Moment. Then I Noticed My Grandmother Sitting At The Phone Bench That Had Always Been Situated By The Doorway. She Looked So Much Younger And Had This Glorious Light Floating All Around Her. Even Though Her Appearance Was More Youthful, I Knew Instantly It Was Her. I Immediately Thanked Her For Coming To See Me. "Oh Thank You Mammaw For Visiting Me!" I Said Over And Over. And She Only Smiled..But Said Nothing. And Oddly Enough (because my grandmother was well known for being a chatterbox)..She Only Said Three Things Our Entire Time Together. At One Point..She Looked Straight Into My Soul, Never Moving Her Mouth But I Heard Her Words So Clearly. She Said, "Terri, The Angels Are Above Us." I Looked Towards The Ceiling And All I Saw Were These Beautiful..Blue And White Rushing Clouds. I Told Her I Couldn't See Them. And She Said, "But They're There." Then In What Seemed Like Seconds Afterwards..She Said, "I Have To Go Now." I Slid Off The Side Of The Bed And Tried To Get To Her And Hug Her Before She Left..And For Some Reason I "Just Knew" I Wasn't Allowed To Touch Her. I Simply Thanked Her Again And Again For Coming To Visit Me..And Then I Was Awake Again. Feeling All That Internal Pain That All Human Beings With A Bladder Infection Feel. Maybe It Was The Audio I Was Continually Listening To Of "Heaven Is For Real" Reaching Some Deep Part Of My Soul During This Time. Maybe It Was My Illness And Some Of The Medication I Was Taking. But Maybe..Just Maybe..It Was Real! Because It Felt Absolutely Real! In The Retelling Of This Story, I Might Be Judged..I Might Be Rediculed. But At The End Of The Day, It Will Not Change What Is True For Me. That God Loved Me Enough To Allow Me This Overwhelmingly Powerful Experience. He Knows What We Need..When We Need It. I Love Him So Much..I Love You All! I don't think you're crazy at all. When my daddy passed away (in 1980) he came to visit me 1 week after his passing....hubby was in night class that night, it was a cold, rainy & dreary night, my babies were asleep and I was feeling so sad thinking of my daddy. All of a sudden he appeared on my front porch and put his hand on the front door, then disappeared. Even all these years later I can still see him and tell you what he was wearing. I do believe in angels and our loved ones coming back to check on us. Anyone who has experienced this type of thing can tell you how real it is. Wonderful post Terri! I'm so glad you shared that experience. I think many have had that. My grandma Helen came to me weeks after passing on and was young too. I didn't even know who she was, but she kept smiling at me. Only a few months after quite a few of those dreams my mom showed me a photo of grandma when she was younger!! Wow! I can't express the joy I felt when I realized that was who was visiting me in my dreams! She hasn't retuned since. Big hugs to you and I'm so glad you are on the mend!! Smooches! I believe it was real. I have been there as a young girl and to this day I know it was real. Thanks for the wonderful post. 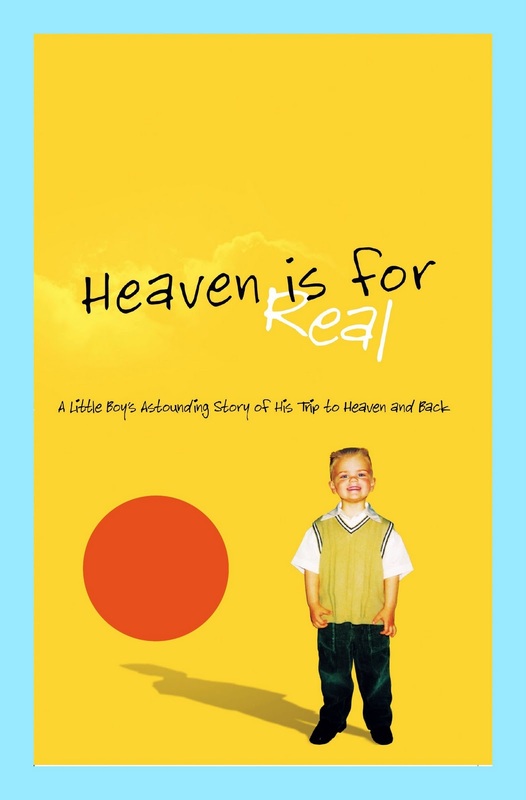 I can not wait to get the book heaven is for real. Welcome back Terri! I'm sorry you were so ill, but like you said, maybe it was for a purpose! Thank you for sharing with us so freely! God bless! Terri you're not crazy, it was real ok! I have been contacted by both my dad and my mums brother, not directly but through a spiritualist medium. I have no doubt it was real because what was told to me only they could have known. My best friends mum also spoke to me personally one time when my friend had some real problems going on and I was so afraid for her. Her mum just came into my room. I couldn't see her properly but she was there, I felt her presence and she told me quite clearly that my friend was going to be ok. Again using phrases and mannerisms that were peculiar to her. I have no doubt at all these things are real. Thank you for the heads up on the book, i will certainly look it up! Feel better soon. Your post is so beautiful and so REAL. I love even more that you were able to see your Mammaw again and the words she spoke to you. I had a very real dream about my Grandma the day before she passed away....it was as real as real can be....to me! I am the only one that lives away from my family...so I am thinking she came to me to say goodbye. 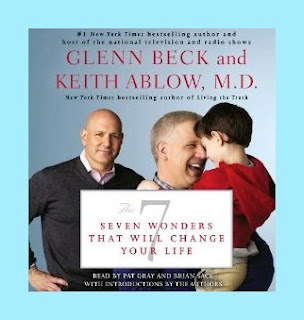 I am glad to hear you are feeling better and I am heading over to amazon to purchase this book!!! I just finished a book called "For One More Day"...think you might like it!! I hope that you are feeling better and I think that your husband is a wonderful man to take time to care for you and your Mom. Yes, I believe there are angels among us and that your Grandmother did come to visit you in your period of quietness. Sometimes we have to be still in order to open our hearts to the things that have meant the most to us. I had a Grandmother just like yours and she holds a very special place in my heart. What a blessing that you have received. I was wondering what happened to you! Glad to hear your on the mend. I know how painful a bladder infection is. I wonder why your mawmaw would tell you about the angels above you. Maybe that was her way to comfort you during your illness. I haven't had a dream like that in years, but I did so when I was much younger. I love books on tape. Thanks for the tip. O its real!! :O) My mom passed 2yrs in April and some of my encounters with her since have been sooo real, and my Mom too was a chatterbox but when I see her she smiles real big and nods:O) Thank You for sharing and hope you are feeling soo much better and I will def be checking out these books I LOVE to read:O) Have a great day!!!!! Oh of course it was real!! I know with all of my heart that my father and brother are always with me--especially my father. And when times are a little tough for me--I always talk to him, and he's always there for me--I know this for sure!! So glad that you're on the mend. I've had my fair share of bladder infections--yuck!! I hope you're better now. I'm praying for. How wonderful to have this visit with your grandmother. What a precious experience. I believe in angels. :) Thank you for the great book ideas. Never thought of downloading them onto an ipod. It would be nice to listen to a book while I work! I sure hope you are on the mend and feeling better!! So sorry you haven't been feeling well, blog friend, but I'm glad you had such a beautiful experience during your illness. I'm envious! I have a whole list of people I'd love to see. Thanks for sharing your story. Wow Terri, I feel like crying now. How blessed you are to be so loved even beyond this life. Thank you for sharing. I always need a reminder that even when life is hard we are watched over and loved.